It seems like one of the biggest trends these days is having perfect eyebrows. Whether you’re an eyebrow pencil pro or a master at using brow powder, some days your brows just don’t want to cooperate. That’s where microblading comes in. 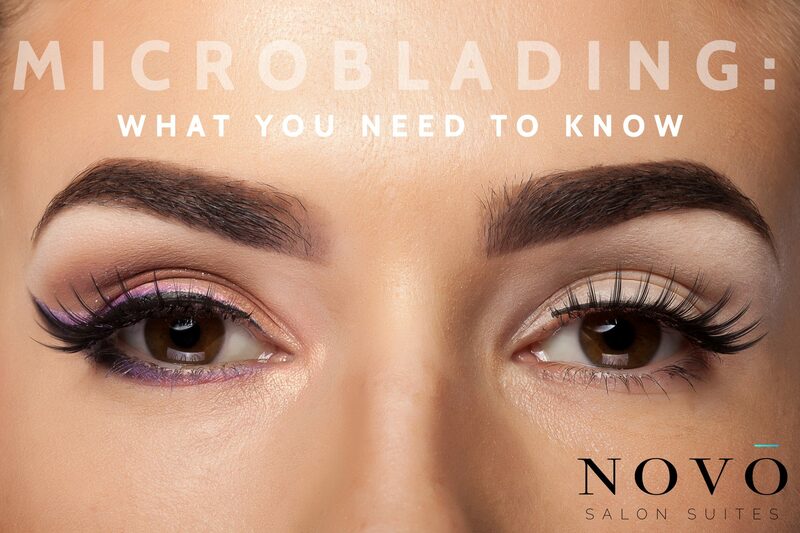 Microblading was introduced to the beauty world a couple years ago and has evolved ever since. It’s a form of tattooing, but don’t let that scare you! Pigment is implanted under the skin with a manual, handheld tool instead of a machine. This allows the artist to draw hair-like strokes that mimic the natural hair in your brows. Whether you think microblading hurts or not is dependent on your personal pain tolerance; however, the general consensus is that it mostly feels like little scratches. You can feel it, but it’s not unbearable. If you do have a low pain tolerance, you can apply a numbing cream up to an hour beforehand. To ensure accuracy, most stylists like to block out about two hours per client. Be mindful, that this fully depends on where you go and the experience level of the stylist. Results can last up to three years depending on your skin and lifestyle. It’s suggested that you should get a touch up every six months or so. Microblading can be an investment, with prices reaching up to $900 in some locations. At our local microblading salon Savannah Microblading, the initial treatment is only $475 with additional pricing for touch-ups, etc listed on their website. If you’re looking for a way to cut-back on the time it takes to get ready in the morning or just want picture-ready brows 24/7, microblading might just be for you! Savannah Microblading is located inside of Roots Southern Salon at 310 E Bay Street in Savannah, Georgia. For a free consultation, give them a call at 912-239-5181. For more information on microblading, visit https://www.elle.com/beauty/a37438/semi-permanent-eyebrow-microblading/.